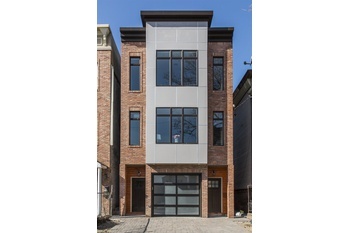 Situated atop the Palisades almost directly over the 2nd Street Light Rail Station, this home boasts a fabulous location near all the Heights and Hoboken have to offer. 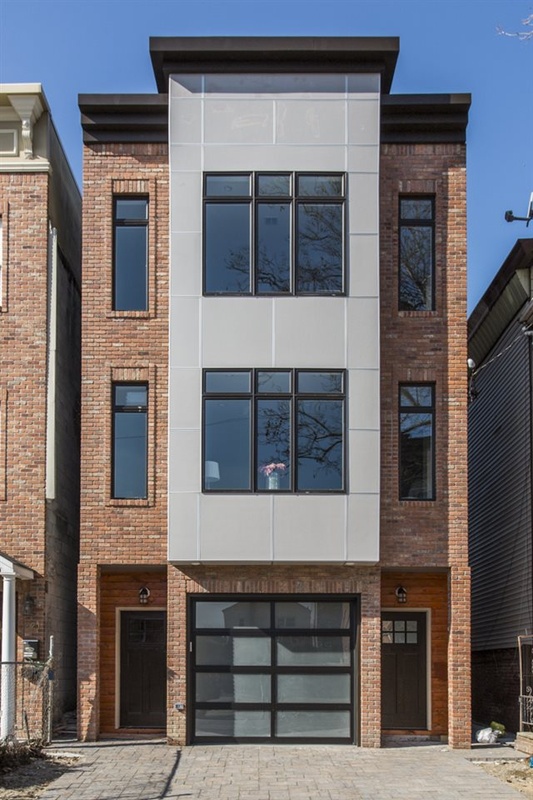 This brand-new three bedroom, 2.5 bathroom home boasts a stunning new construction and is chock full of desirable amenities like private access to the backyard and huge rec room. An ultra-modern exterior greets you upon walking up to this home and a garage provides access to convenient, secure parking. Once inside, find the magnificent kitchen area, complete with top-of-the-line Samsung stainless steel appliances, including a gas range, touch-screen, internet-enabled refrigerator, dishwasher and microwave, a beautiful tile backsplash and a center island with seating and storage. Monochromatic soft-close cabinetry seamlessly incorporates into stunning marble waterfall countertops. A fireplace in the living room presents the perfect place to entertain and relax with family and friends. Large windows lining the space keep the entire kitchen, living and dining rooms well-ventilated, fresh and airy. The fully-renovated baths in this home feature Kholer fixtures and designer finishes. Frameless glass showers create an ultra-modern clean feeling, adding to these already luxurious spaces. A large rec-room on the garden level offers even more space to relax with family and friends. Surrounding this home, you’ll find places to see and things to do. Start with Riverview Park just down the block where you’ll find scenic spaces to relax and unparalleled views of Manhattan. Enjoy a cup of joe from modcup coffee company or head into Hoboken for renowned nightlife, dining and access to the PATH for commuting into Manhattan.